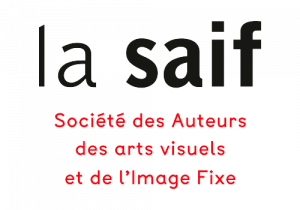 We invite you to submit your work for selection of the Festival Programme of the 12th Angkor Photo Festival & Workshops, to be held this year from 3rd – 10th December 2016 in Siem Reap, Cambodia. For our 12th Edition, we continue to have two different submission categories. The ‘OPEN’ category, accepts work on all topics and issues, and the ‘THE IMPACT PROJECT’ seeks stories on individuals, groups, or small organizations working to make a difference. As the landscape of storytelling has been continually evolving in this digital age, we are also now open to receiving multimedia submissions for all categories. As Programme Coordinator Françoise Callier says: “When the right balance between photography, video and audio is found, the strength of the testimony can be further revealed in a more spirited way“. Before submitting your work, do read all instructions and the F.A.Q. carefully. The submission form is provided at the bottom of this page. OPEN THEME: No imposed theme, open to all topics and issues. THE IMPACT PROJECT: The news of today centers around tragedy, catastrophe and war. It can sometimes be difficult to remember that good things are happening too. The Impact Project aims to showcase stories about individuals and groups working to make a positive impact on social or environmental issues. All submissions will receive an email response by August 2016. You do not have to upload images in this form, and we will not accept submission via email. If you are selected, you will be given instructions on how to upload your photos via FTP. Minimum of 15 images per body of work. At this stage of selections, there is no restriction to the maximum number of images. We do not accept single image submissions. The entire project must include elements of video, photography and audio. Q: What kind of photography are you looking for? A: Each submission should be a cohesive body of work which conveys a story, theme or message clearly. Q: Can I submit more than one body of work? A: Yes. There is no restriction on the number of submissions per photographer, but you have to submit one form for each body of work. Q: Can I submit to both categories? A: Yes. You may submit different sets of work to both categories. Do not submit the same body of work to both categories. Q: I do not have a personal website, can I still submit? Q: If selected, will my work be shown as a slideshow or projection? A: This will be decided by the Programme Coordinator, and we will inform when we email you the selection results. Q: Are there prizes or awards for selected photographers? A: No. The Angkor Photo Festival & Workshops is not a competition or contest, it is a platform for sharing the best of photography from around the world, and selected photographers will have their works included in our official festival programme. Q: I want to participate in the workshops. Do I have to submit something now?